Located in the Perkins Boy Scout Camp, SH240 and FM1177, outside of Burkburnett, Texas. From the gate, drive on the hard surface road for 1/4-mile, which curves down and toward the left; then, turn left on a dirt road at the bottom of the hill. The marker is located 1/10th-mile. 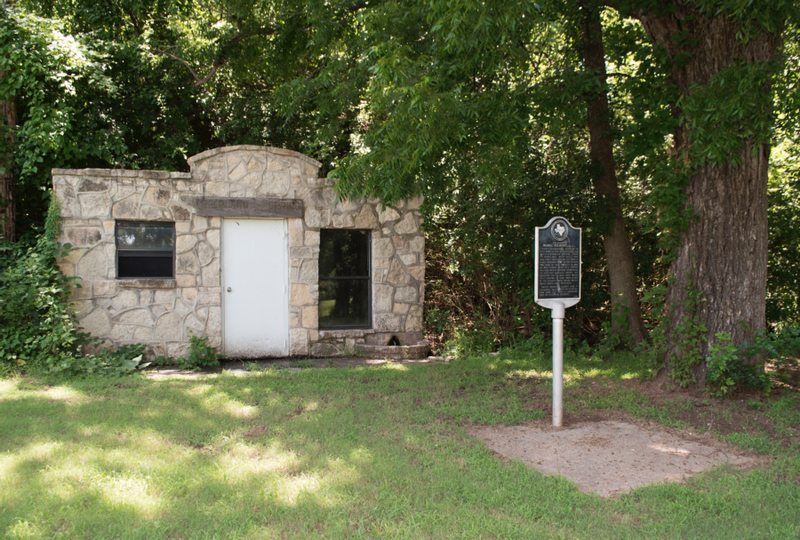 The marker stands in front of McFarland Springs. GPS: 34-degrees 03' 26.4" -98-degrees 28' 29.5". 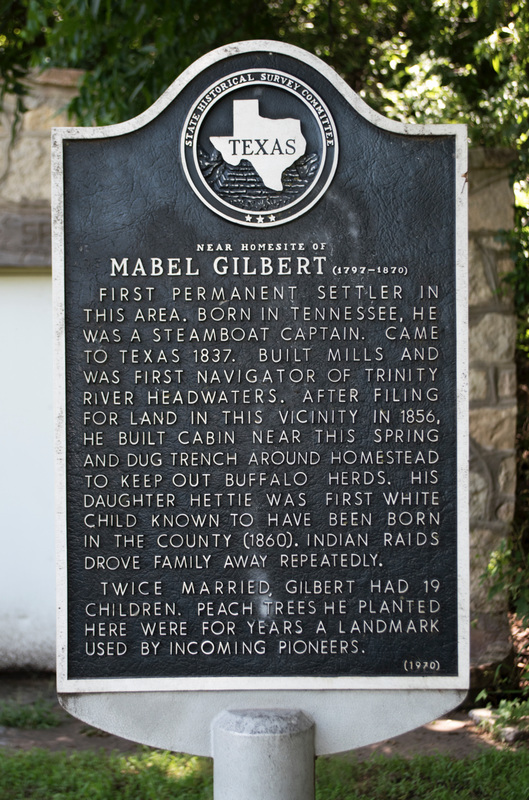 For information about Mabel Gilbert published by the Handbook of Texas Online, click the button below.